Louis Delmas, a second-round pick out of Western Michigan in 2009, spent the first five years of his career with Detroit. 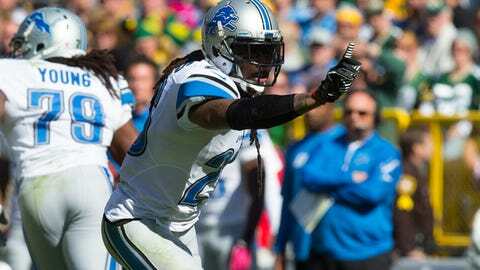 It’s now official that safety Louis Delmas won’t be returning to the Detroit Lions. Delmas signed a one-year deal Monday with the Miami Dolphins. Unlike many free agents who can’t sign with another club until Tuesday at 4 p.m., Delmas was eligible to sign immediately because he had been released by the Lions a few weeks ago. There had been speculation that he could return to Detroit if he didnt find a better offer and would be willing to accept less money. The Lions released him because they wanted to dump his high salary-cap hit. The Lions are now definitely in the market to find a replacement at safety because Delmas started all 16 games last season. The club could sign a free agent in the upcoming days or possibly use a high draft pick on someone to take over for him. Delmas, a second-round pick out of Western Michigan in 2009, spent the first five years of his career with Detroit.